Vancouver Jewish synagogue wedding signing of Ketubah - Best Vancouver wedding photographer Jozef Povazan Photography studio. Vancouver Jewish synagogue wedding signing of Ketubah. Bride and groom looking at Rabbi as he speaks to parents. This sacred moment is actual wedding ceremony for Jewish couples. Mother of the groom and bride put a veil on the bride face. She has the veil on her face until is removed by the groom during the signing the ketubah wedding ceremony. 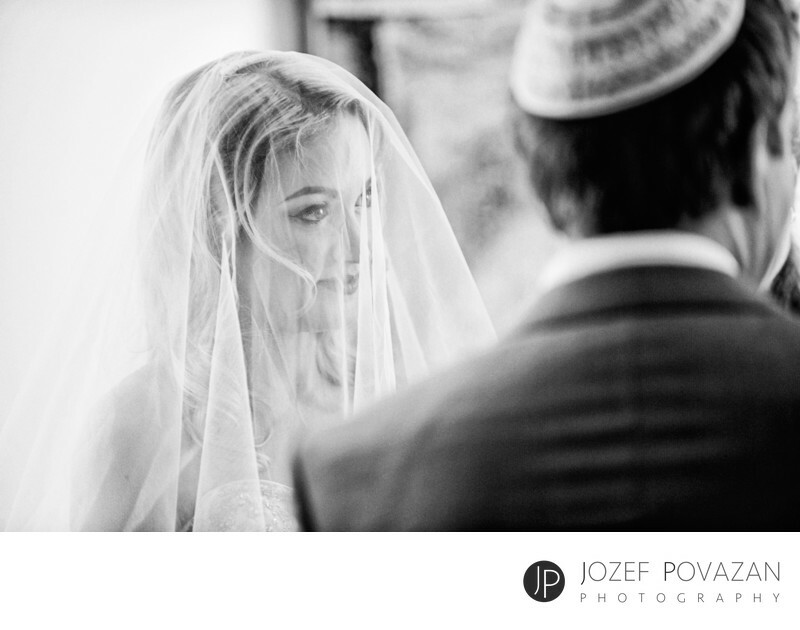 This candid moment was photographed by Jozef Povazan Photography at Vancouver Temple Sholom Synagogue. Award winning Vancouver wedding photographers, 2015 BC Wedding award winner.